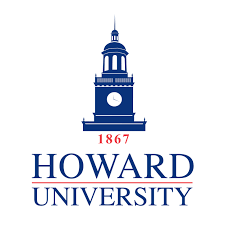 Howard University (HU) has selected Harris Search Associates to lead the search to identify its next Chair of the Department of Political Science. The Political Science Department at Howard University blends the highest goals of nationally and internationally recognized scholarship in political science with the special mission of its founding faculty. From the beginning, the faculty and students shared a commitment to educate and reform education in the discipline in order to deepen national understanding of political and social institutions and to restructure scholarly perspective on equity, justice and other social values that inspired higher education initiatives among African Americans. Founded in 1928 the Department was uniquely inspired by the distinguished scholar and Nobel laureate, Ralph Bunche, the first African American to earn a doctorate in Political Science. It has benefited from the foundation provided by other influential faculty leaders including Emmett Dorsey, Vincent Brown and Bernard Fall. The undergraduate program is highlighted by various course combinations or concentrations through which the students may move freely. These informal concentrations include American Government, Black Politics, Comparative Politics, International Relations, Public Policy, and Theory as well as the Honors sequence. The Pre-Law Program offers a more formally organized concentration that fully prepares students for law school. Whatever the post-graduation orientation of students, Political Science at Howard can promote a refined and extended awareness of the political world that prepares the student for leadership and the analysis of leadership nationally and internationally. HU seeks an accomplished, innovative leader to provide oversight of the educational programs and shape the vision for department innovation in curriculum and training. The next Chair will build enduring relationships with critical external community partners and local, regional, and national government leaders.